Periodontal plastic surgery is designed to restore form and function to the gum tissue, periodontal ligament, and the bone that supports your teeth or an individual tooth. The real long-term goal of any periodontal surgery is to increase the life expectancy of the teeth and their usefulness; it is not a cure for periodontal disease. Periodontal surgery basically removes tissue that has been transformed by the disease, and then reconstructs the gums and surrounding tissues to better support the teeth and to recreate a normal appearance. Periodontal disease is diagnosed when gingival or gum tissue attachment to the teeth is abnormal and bone changes may be evident through x-rays. 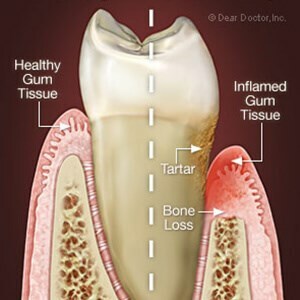 A dentist will determine the degree of periodontal disease by examining “pockets” between the gum and tooth to see how much detachment exists, and then will thoroughly examine the x-rays. 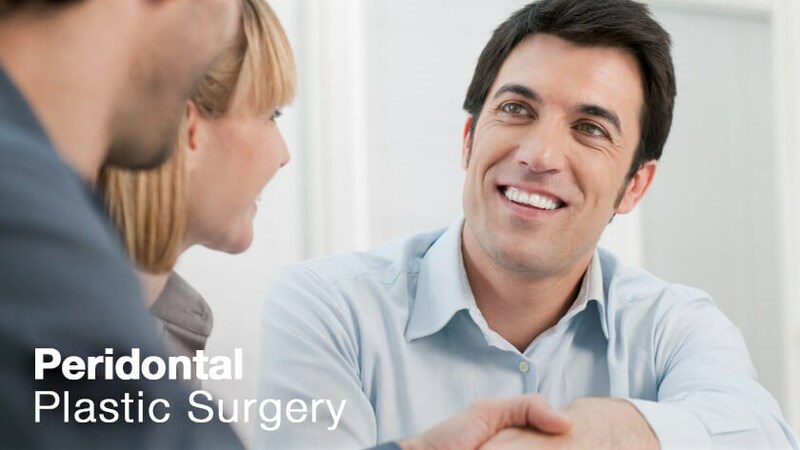 Your dentist and you can discuss treatment procedures once a periodontal disease diagnosis has been made, beginning with conservative behavioral changes and extending to periodontal plastic surgery. 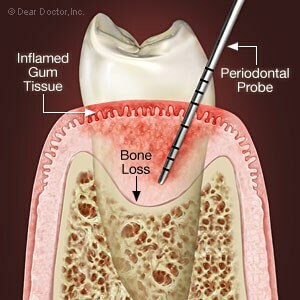 Periodontal disease does not always respond to conservative measures taken before and after diagnosis. While surgery may be necessary in the end, knowing what steps you can take to prevent disease from forming and progressing is very important. Behavioral Change– When periodontal disease is detected, your dentist will first recommend a few behavioral changes including an enhanced oral hygiene program, quitting smoking, and possibly some additional lifestyle changes. Tartar Removal– A regular and thorough professional tartar or calcified plaque removal program will become an essential part of your oral hygiene routine. Typically this is a painless procedure, but in some extreme cases, pain medication may be required for a few days. 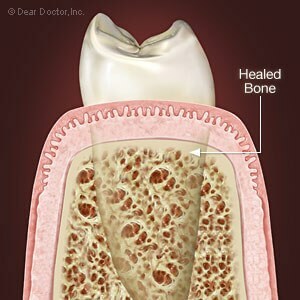 Bite Therapy– Bite disorders can be treated after periodontal disease is diagnosed and treatment has begun. This may prevent future problems and will make your mouth an all-around more hospitable environment. Surgical Therapy– In cases of severe periodontal disease, surgery will be necessary to repair and regenerate the soft and hard tissues and replace any missing teeth. The goal of surgery is to eliminate pockets between the gum and tooth and attempt to encourage reattachment and normal function and aesthetics to the patient. 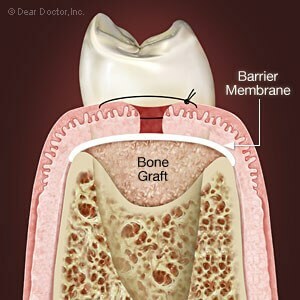 There have been many advances in this field in both soft-tissue and hard-tissue replacement and regeneration, and a skilled periodontal plastic surgeon can restore an affected mouth to a pre-disease appearance. While steps can be taken to alleviate the ravages of periodontal disease, the best step is prevention. Remove plaque and bacteria through daily brushing, flossing, and regular oral hygiene. Routine visits to a dental professional for cleanings are also essential. Quitting smoking has proven to be very helpful in preventing the onset of periodontal disease.